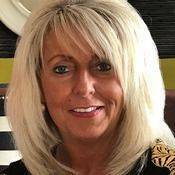 Pamela began her career in Dublin as a teenager in the hospitality industry where she embarked on her first hospitality job, she then found herself crossing the water in January 2000 to the UK which found her settling in Aberdeen working for EDC Hotels. Pamela was initially responsible for ensuring EDC’s first venture into the hotel brand market was successful and then throughout the years, she was instrumental in developing a further five hotel projects in Aberdeen and Edinburgh. She has extensive experience in the hotel and leisure industry, with skills ranging from development of properties to senior operating roles. Projects include the development and refurbishment of properties of various sizes from concept, design, to final build completion. Pamela has exceptional ability of building productive teams that deliver outstanding results and hotels under Pamela’s management have achieved numerous awards from the hotel industry and IHG. She joined Chardon Trading in June 2017 and Chardon’s hotel portfolio is still actively growing where Pamela is well placed to assist in this expansion.